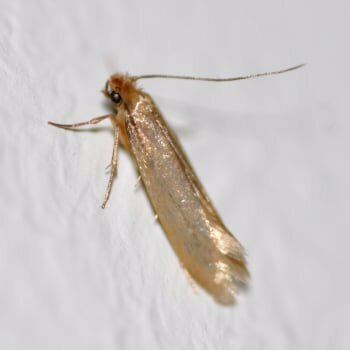 Approximately 1.5 million homes across the UK suffer from moth infestations! Species range in size from 2 mm to 300 mm across. Adult moths do no damage. It is the larvae which hatch from the sticky eggs that eat wool, hair, fur or feathers – with a preference for blankets, wool carpets, wool garments or upholstery. You may see them! But damaged clothes or carpets will indicate a likely problem. Pantry moths feed on stored food products and contaminate food stuffs. These are often found in kitchen cupboards and larder store areas. They are approximately 10mm in size and a darker colour.